The Explosives Unit is a team of highly motivated officers who are specially trained in the recognition, construction, handling and rendering-safe of improvised explosives and devices. Bomb Technicians receive their initial certification by completing the FBI/US Army Hazardous Devices School which is located at the Redstone Arsenal in Huntsville, Alabama. The Sheriff’s Office Explosives Unit works as a regional response unit. The Regional Explosives Unit has a response area which includes a majority of East Tennessee. The Explosives Unit not only responds to calls of explosive devices, military ordnance, suspicious packages, and post blast investigations but also provides training for emergency responders. The Unit supports the mission of the Hazardous Materials Team, the S.O.R.T. Team, the U.S. Secret Service, Transportation Security Administration, as well as any other agency in the region needing technical support. In addition to a more traditional response, Technicians are now also focusing on rapid deployment and integration with tactical units. Imagine the mission and duties of a Bomb Technician at the speed of a S.O.R.T. Team, all in order to handle rapidly evolving situations and keep people safe. The mission and level of training for Bomb Technicians has significantly increased with incidents like the 2010 Times Square attempted bombing, the 1999 Columbine High School shooting, the 2013 Boston Marathon bombing, and the 2010 Discovery Channel hostage incident. 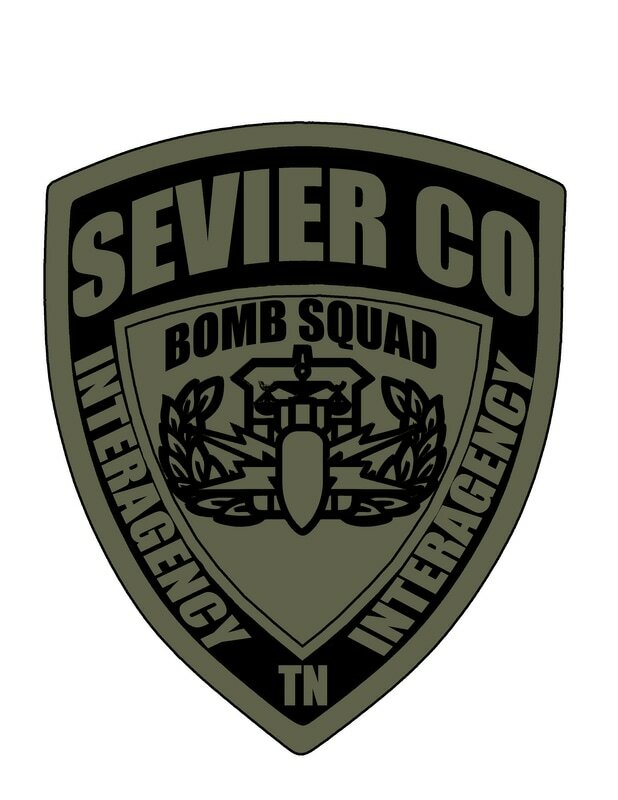 The members of the Sevier County Sheriff’s Office Explosives Unit have dedicated themselves to meeting these challenges and pride themselves on being prepared to handle any threat explosives pose to our community. The Sevier County EOD Unit is comprised of officers from the Sevier County Sheriff's Office, Sevierville Police Department, Pigeon Forge Police Department, and Gatlinburg Police Department.